6 copies of photo. 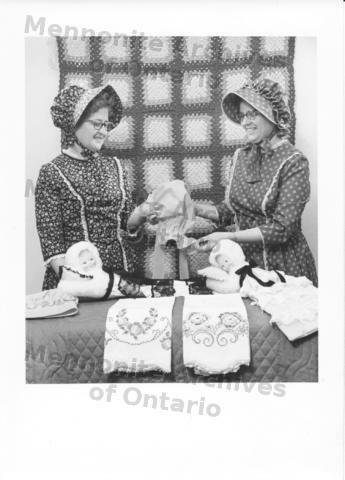 Caption on back: Alice Snyder & Pearl Cressman in centennial costume with sunbonnets, pyjama dolls & pillow cases for Relief Sale. C.f. 1994-14.1643 & 1644 for related photos.